Iraqi Sunni men presented as former jihadists fighting alongside the Islamic State (IS) group who defected to join Iraq government forces take position in Amriyat al-Fallujah, in Iraq's Anbar province, on May 26, 2015. The fight against ISIS has taken a turn for the worse in recent weeks, with strategic cities and territory having been captured by the militant group. To make matters worse, one of the key factions fighting ISIS is running out of cash. 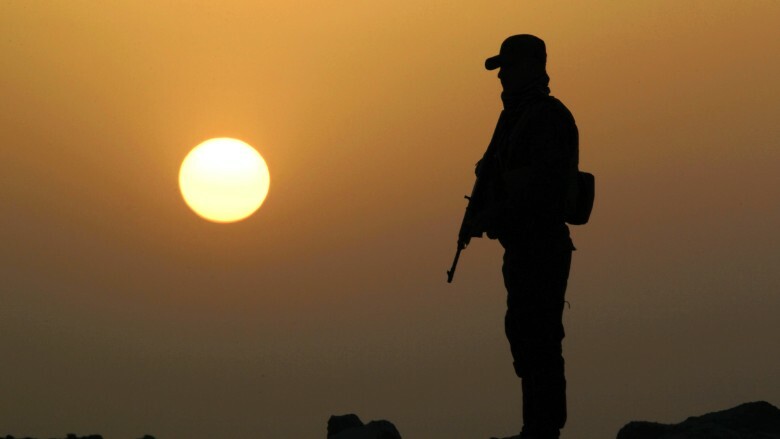 The Kurdish Regional Government (KRG), a semiautonomous provincial government in northern Iraq, says that its battle against ISIS is weakening due to the failure of the Iraqi government to promptly transfer necessary funds. The KRG and Baghdad have long been at odds, as questions over sovereignty, revenue sharing, and oil exports have led to years of political gridlock. The tentative deal reached in December 2014 raised hopes of political progress, but the current standoff over money indicates that the two sides have not entirely resolved their differences. The deal reached in late 2014 allowed the KRG to export 550,000 barrels per day in exchange for cash. Under the terms, Kurdistan is supposed to receive its portion of the national budget, pegged at 17%. But the flow of money has dried up, cutting off salaries to fighters in the peshmerga, Kurdistan's militia. Baghdad has responded by saying that the KRG is overestimating how much money is owed. Without the funds, it will be difficult for the Kurdish forces to keep up the fight against ISIS. The peshmerga has been critical to keeping ISIS from advancing farther than it already has. The lack of money could also start affecting oil production in Kurdistan. Several private international companies operate there, but have not received payment from the KRG. The Kurdish government owes a combined $3 billion in back payments to oil companies. If they are not paid, they could pack up and leave. "We need to stabilize the payment situation," Ashti Hawrami, the KRG's natural resources minister, said on June 9. "We can't keep saying to oil companies: 'Give us one more month.' Eventually this will collapse around us. We need more money." Related: A Glut For Natural Gas Too? If oil companies did reduce or stop production, that would only worsen both the KRG's and Iraq's budgetary picture. That in turn could have serious implications for both the fight against ISIS and the health of Iraq's oil sector over the long-term. Charles Kennedy is a writer for Oilprice.com.